If you see a 5G indicator in your phone's status bar, you know you've got a fast connection, right? Think again. The technology world may be eagerly anticipating the capabilities of 5G, but in the US AT&T has simply jumped on the hype bandwagon as a marketing tool. A new study into the speed of the company's 5G E service found that it is actually slower than 4G offerings from its rivals. Despite the name suggesting a futuristic service with speeds to match, AT&T is actually delivering sub-par performance. Huawei's Mate X is a seriously impressive folding 5G smartphone... but you'd hope so for $2,600! An investigation by Opensignal found that the real-world performance of 5G E was below that of T-Mobile and Verizon's 4G services. It shows that the 5G E label is -- surprise, surprise -- little more than a marketing gimmick. 5G E does not deliver 5G performance; in fact, it is not even as good as 4G in many instances. "Of course," you may cry, "this is 5G E, not 5G!" And you would be correct. AT&T has -- rather than actually offering a blisteringly fast 5G service -- simply renamed part of its 4G network 5G E (or 5G Evolution to give it its full title). It is nothing to do with 5G; it is 4G. It is also a misleading marketing tool over which Sprint has already sued AT&T over. AT&T has said that it "clearly" defines 5G E as "an evolutionary step to standards-based 5G", insisting that "our customers love it". Love it they may, but it's hard to see how customers are not being duped. The numbers speak for themselves. AT&T may claim that "the 5G E indicator simply let customers know when their device is in an area where speeds up to twice as fast as standard LTE are available", but the reality is that competitors offer faster services that are, correctly, labelled as 4G. At Opensignal, we are not distracted by technology claims or marketing decisions. We simply measure the real-world experience of users to see if one service delivers a better or worse experience than another. 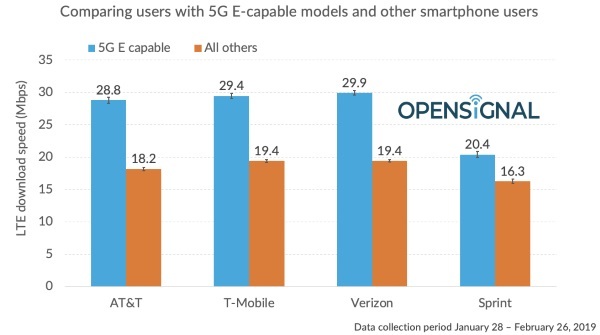 Analyzing Opensignal's data shows that AT&T users with 5G E-capable smartphones receive a better experience than AT&T users with less capable smartphone models, for example those with an LTE Category below 16. 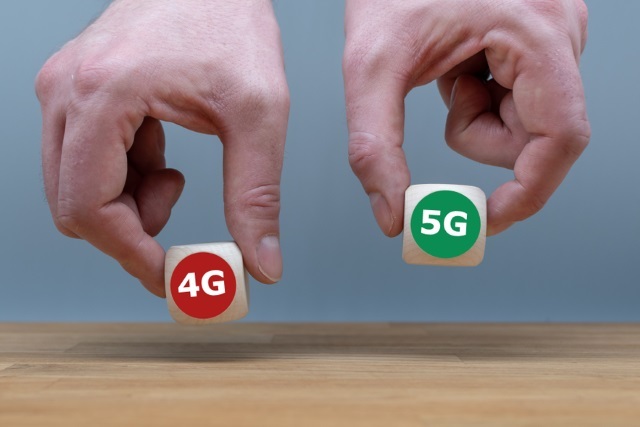 But AT&T users with a 5G E-capable smartphone receive similar speeds to users on other carriers with the same smartphone models that AT&T calls 5G E. The 5G E speeds which AT&T users experience are very much typical 4G speeds and not the step-change improvement which 5G promises. While Opensignal may generously say that AT&T's 5G E offers "similar speeds", the fact of the matter is that -- in real-world usage -- it is slower than T-Mobile and Verizon's 4G networks.